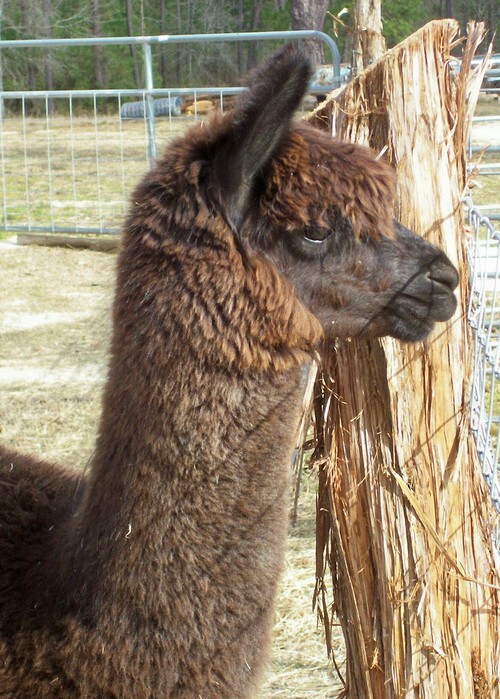 Alpacas are members of the camelid family and are a cousin to the llama. They are raised for their fiber, one of the finest in the world. They are mild-tempered, gregarious animals with an inquisitive nature. While relatively new in North America, alpacas have been domesticated in South America for about 5000 years. Alpacas played a major part in the Inca civilization. There are two types of alpaca: the huacaya and the suri. The fleece of the huacaya grows out from the body and has a fluffy appearance, somewhat like that of sheep. 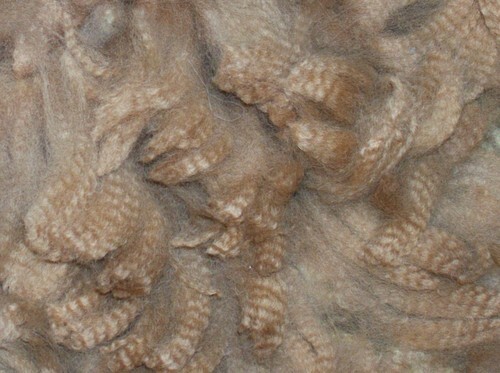 The suri fleece grows in defined pencil-like locks. Both types produce very fine, soft fiber. 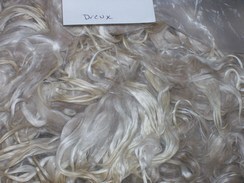 Many products are made from this fiber. It’s unique qualities make garments that are lightweight, yet warm, strong, water and dirt-resistant, and virtually itch-free. 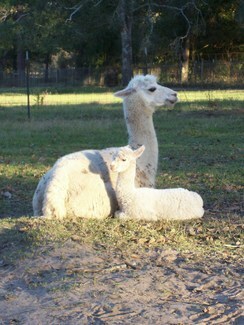 Baby alpaca is considered to be hypo-allergenic. Alpacas live between 15 and 25 years. They weigh 100 to 180 lbs. And are about 36” at the withers (shoulders). Their gestation period is 11 to 11 ½ months and they have only one cria (baby) each year. These gentle animals require minimal care, and as many as 10 can graze happily on a single acre, making it possible for small acreage owners to become alpaca ranchers. 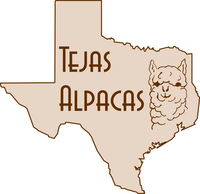 As an investment or just a treat to enjoy, alpacas provide a relaxing rural lifestyle. For those wanting to take advantage of the investment opportunity but not able to make the move to the country, agisting, or boarding, is available.